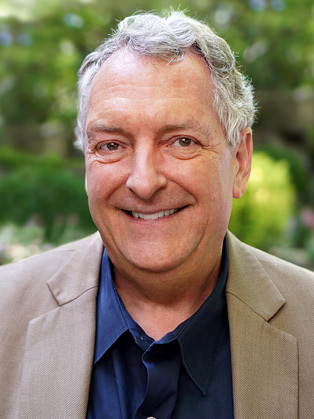 Ranked as the #1 management guru by Business Week, profiled by Fast Company as one of the world’s top 10 creative people in business, a top 5 coach in Forbes, and recognized on Thinkers50 as one of the world’s leading business thinkers, Dave Ulrich has a passion for ideas with impact. In his writing, teaching, and consulting, he continually seeks new ideas that tackle some of the world’s thorniest and longest standing challenges. Their (Dave Kryscynski, Wayne Brockbank, and Mike Ulrich) new book Victory Through Organization builds on data from over 32h,000 respondents to show how stakeholders and businesses win through building stronger organizations. With co-authors, he has influenced thinking about organizations by defining organizations as bundles of capabilities (Organization Capability) and worked to delineate capabilities of talent management (Why of Work; Talent Accelerator), culture change (GE Workout), learning (Learning Organization Capability), and collaboration (Boundaryless Organization). Dave’s work on Leadership Capital Index defines leadership through investor expectations that helps realize the market value of leadership. This work shapes and brings rigor to how investors, boards of directors and ratings agencies evaluate leadership so that leaders create real value to others. With colleagues, he has also articulated the basics of effective leadership (Leadership Code and Results Based Leadership), connected leadership with customers (Leadership Brand), and synthesized ways to ensure that leadership aspirations turn into actions (Leadership Sustainability). He and his colleagues have shaped the HR profession and he has been called the “father of modern HR” and “HR thought leader of the decade” by focusing on HR outcomes, governance, competencies, and practices (HR Champions; HR Value Added; HR Transformation; HR Competencies; HR Outside In). He spearheaded a “gift” book on the future of HR (The Rise of HR) distributed to over 1,500,000 HR professionals), in which 70 thought leaders freely share their insights. He has spoken to large audiences in 88 countries; performed workshops for over half of the Fortune 200; and coached successful business leaders. He is co-founder of the RBL Group a consulting firm that increases business results through leadership, organization, and human resources. He gives back to the profession and others, having served as Editor of Human Resource Management for 10 years. He works as a Trustee and advisor to universities and other professional groups. He is known for continually learning, turning complex ideas into simple solutions, and creating real value to those he works with. Wendy and Dave serve frequently in their church, have 3 children, 8 grandchildren, and get their greatest glee when their grandkids’ eyes light up at seeing them, want them to read a book, or simply go on a walk together.